Now I'm no expert alottmenter (alottmenteer? ), in fact I'm an absolute amateur. I only began growing my own fruit and vegetables about a year and half ago and it's been a voyage of discovery, paved with greenfly and bamboo stakes. It's been fun, but it has been difficult to know what to do or how to do things at times. There's a plethera of information out there, in the form of books, websites, hints & tips from fellow gardeners etc - and I for one, have been mightily confused sometimes. That's why a book like this is so helpful, it's all in one place and it works very much like a reference book. I suspect I'll be referring to, and re-reading it for many growing years to come. RHS Growing Vegetables & Herbs is set out in a very practical way. It begins with a chapter called 'Why grow your own? ', moving onto 'Rules & Tools,' then onto 'Crop Protection' before digging into the subject of how to grow almost every vegetable I think I've ever heard of (and some I haven't!). This is a very easy to follow format and one that lends itself to both casual browsing and more indepth reading. 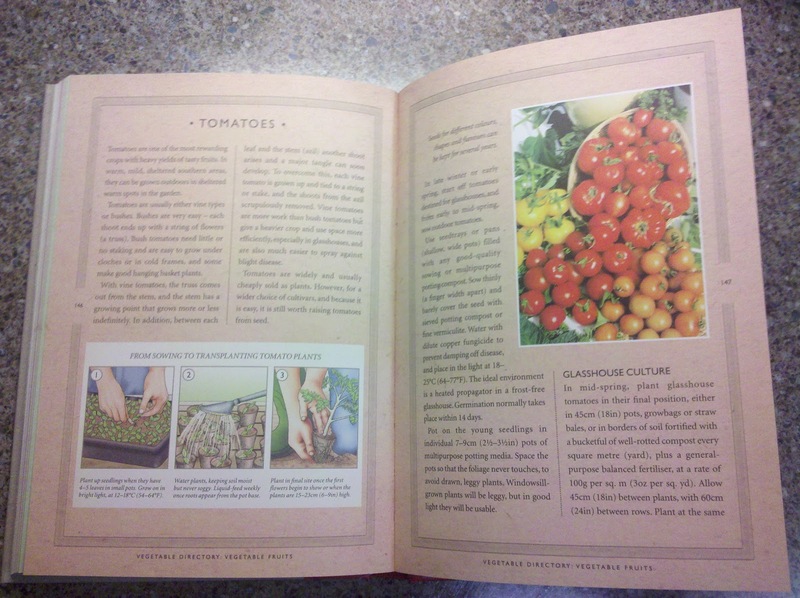 I've found myself flicking through and gleaning tid-bits of information from the specific veg growing chapters, and spending a little longer reading and learning about the types of soil, digging techniques and protected cropping and other more general gardening topics. 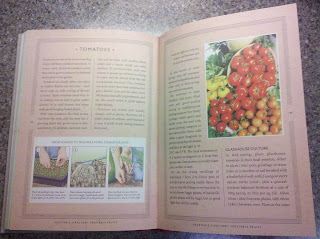 It is a both a good read, and a great gardening resource. The illustrations and diagrams are clear too. It always helps to actually see how things are done, as well as having techniques described. This book includes a 'Sowing Guide' which will come in very handy, a 'Glossary' for those of us who don't know their 'Topdressing' from their 'Tilth' (namely me) and practical, down to earth advice. One thing I noticed which I particularly like, is that the chapters are subtly colour coded. So if you're amidst a mass seeding frenzy and you need a little advice, you don't have to flick through the page numbers whilst scattering soil everywhere - if you know the book well enough you can quickly skip to the bit you need. In summary! If I said this book was a 'grower' would you throw plant-pots at me? 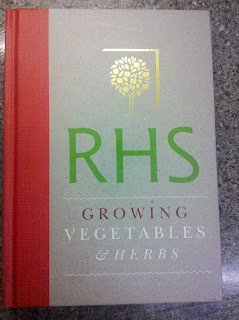 RHS Growing Vegetables & Herbs was sent to me by Octopus Publishing to review. There's so much to learn when growing veggies, like you say.